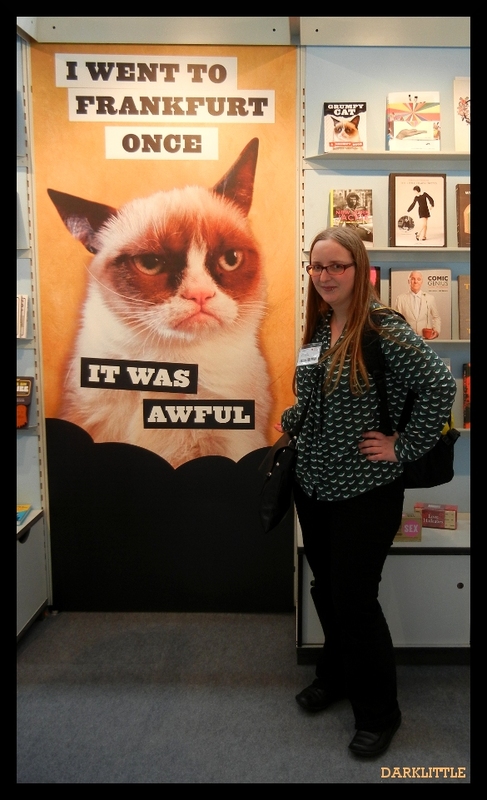 Frankfurt Book Fair – We’re Back! We’re back from our short but busy trip to Frankfurt Book Fair. In those few days, we met wonderful people, walked many miles, saw beautiful books and learned a lot. Our trip started with a snow storm that delayed our departure and arrival. The late arrival also prevented us from visiting the fair on Friday. 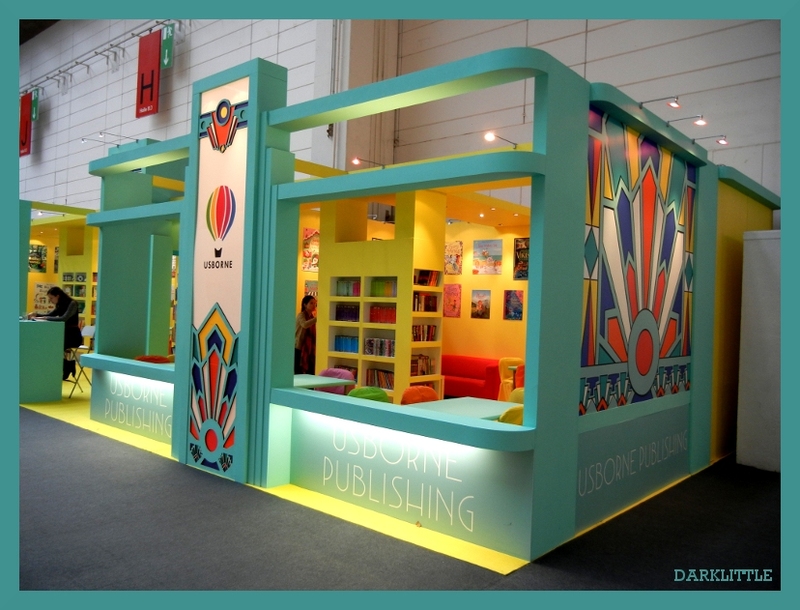 Therefore, we weren’t able to meet Megan from Harper Collins International Sales who had to leave that day. We would have loved to chat with her but the weather and traffic weren’t on our side that day. Grumpy Cat didn’t agree with me. On Sunday, time was short. We only had four hours until our departure. Nevertheless, we attended a talk by Frank Grafe of Random House Germany, who told us about their publishing house and the work they do at the book fair. 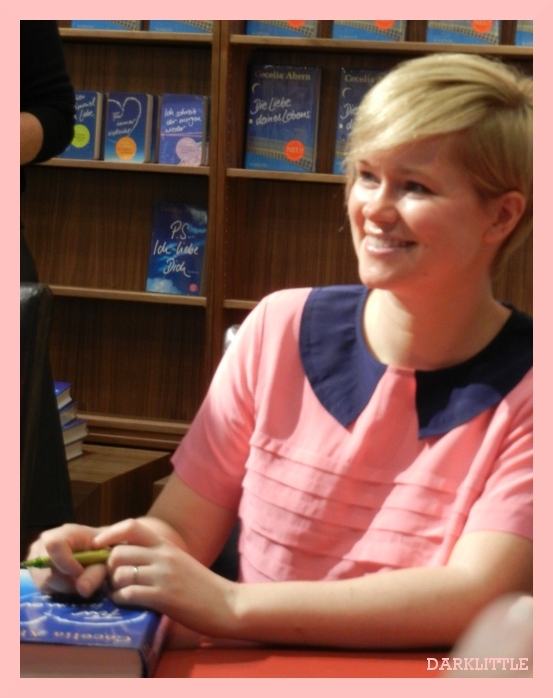 Later on, I met lovely Thérèse Coen from Bloomsbury for an interview. We had a great chat and I left with a wonderful present, a book I’ve been waiting to read for months. Thank you SO much. I noticed much later just how precious this present was. At the bus on our way home, I had a closer look and saw that it was signed. I was barely able to breathe. Oh wow Thérèse, you sure made my week! After another quick stroll through hall 8.0, I had to say goodbye to my favorite hall, as I planned to join Miss Treegarden for a book signing that was very important to her. On our way out of the fair grounds, we also got a quick look at Cecilia Ahern (P.S. I Love You), who was also signing books at the fair. Boy, isn’t she young? Our days at Frankfurt Book Fair had come to an end and we had to board the bus back home again. Before leaving for Frankfurt, I was a little worried, but now, I’m glad everything worked out fine. I’m sure, I’ll be back soon. This was only a quick roundup of our trip. I promise you’ll read more about it in the upcoming weeks! Sounds good, seems you two had an amazing time there! We sure did! It was wonderful. But time was a little short.